Last fall, Kitchens of Distinction’s Patrick Fitzgerald and Julian Swales reunited for the first time since the British dream-pop act folded in 1996, writing 10 new songs that Fitzgerald said were “reminiscent of Kitchens but also something new.” At the time, he wasn’t sure what to call the project. 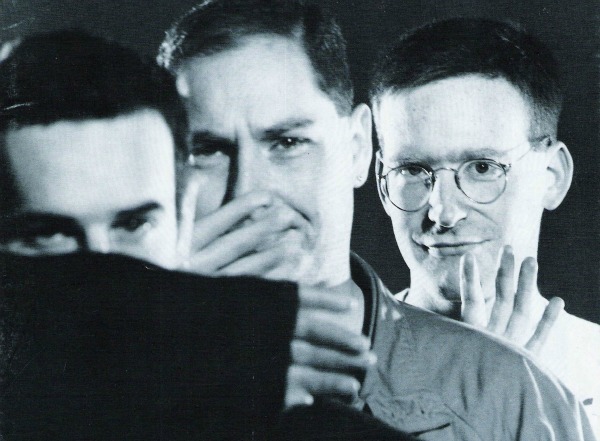 But now it’s official: With drummer Dan Goodwin back on board, too, Kitchens of Distinction have just finished recording their first new album in 19 years. 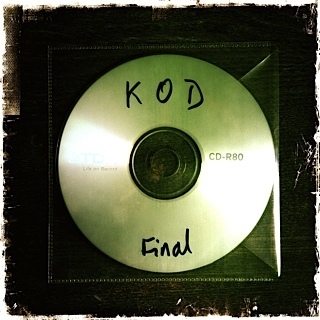 The band has not revealed the title of the album — which will be KOD ‘s fifth overall and first since 1994’s Cowboys and Aliens — nor a release date, and says it still needs to be mastered and have artwork designed. Fitzgerald notes there will be a 180-gram vinyl release. Spent the weekend with Julian going through the songs for a last time. And yesterday we finished. 10 songs recorded by us, mixed with Pascal Gabriel, and featuring a mix of sounds that should satisfy some of those Kitchens aficionados. Jules thinks it sounds nothing like old Kitchens, but like a new version sucked through time and space. Dan said he thought it would fit neatly between Death of Cool and Cowboys. Me? Well it certainly sounds like nothing I’ve recorded these past stephenhero years, so I’m glad as I wanted a change. It’s definitely a hark back to the sonic noise of KOD, but the lyrics are wiser, and the songs less fraught. But don’t get me wrong, they are no less intense. This is a thorough emotional rinsing lasting 42 of your earth minutes. Next – mastering, artwork, formats. And yes, there will be 180g vinyl before you ask. But NO live shows featuring all 3 of us. Do you hear? That’s a NO to those sitting in the back. What a good year for us shoegaze/dream pop fans! ‘Kitchens’ are such a underated band, it’s disgusting that they aren’t as popular as My Bloody Valentine or Slowdive! Julian has written some of the best guitar riffs I have ever heard and Patrick is up there with other indie poets such as Morrissey. They deserve much more recognition and I really hope this new album does just that. I’m not surprised they aren’t touring since Patrick has been a very ill man, but they don’t really need to as they’ve always been an amazing studio band. I have very high hopes for ‘Kitchens’ and I await their new album in anticipation! Wow tremendous news!!! I hope there’s a lot of that dreamy KOD sonic wash. More reverb, lads! Copyright © 2019 Slicing Up Eyeballs. All Rights Reserved — in this world and all others.